The US Supreme Court on October 3, 2017 will hear oral arguments for the second time in an important immigration case, Jennings v. Rodriguez. The Court was unable to reach a decision the first time around, apparently because it divided 4-4 on how to resolve the case. A key issue in the case is which constitutional body—Congress or the federal courts—gets to make policy governing the treatment of aliens convicted of serious crimes. Stories peddling this angle seem to be a compulsory part of reporting at the conclusion of each Supreme Court term. The completion of the October 2012 term is no exception. King & Spalding’s Ashley Parrish took strong exception to this characterization of the Court during Washington Legal Foundation’s annual end-of-the-term briefing this past Tuesday. The entire program can be viewed here. The “pro-business” bromide is a trite and woefully simplistic byproduct of the need to label things. One could argue that the term implies judicial bias, i.e. deciding cases based on the nature of the litigant rather than on the law. It can also be seen as ideological or political in nature. If, for instance, Justice Ginsberg happened to be the Chief Justice at a time when the Court’s rulings favored free enterprise, would we be seeing stories about how pro-business the “Ginsberg Court” is? Further, has anyone seen the justices who rule against business litigants described as “anti-business”? As an institution which for 36 years has sought to advance legal principles which support the conduct of free enterprise, Washington Legal Foundation views “pro-business” Court as a compliment. We’re pleased that in the nine cases in which we filed during the October 2012 term, seven resulted in victories for “business” litigants. Our perspectives on the law, on the judiciary’s limited role, and on constitutional protections for business entities are prevailing. But WLF should not be alone in applauding this Court’s rulings against plaintiffs’ lawyers, activist groups, and federal regulators. Businesses employ Americans, Americans invest in businesses, and our free enterprise system gives people of all backgrounds a fighting chance to succeed. So if a label must be imposed, did the Roberts Court earn its “pro-business” stripes this term? If one looks strictly at the numbers, generally it did. 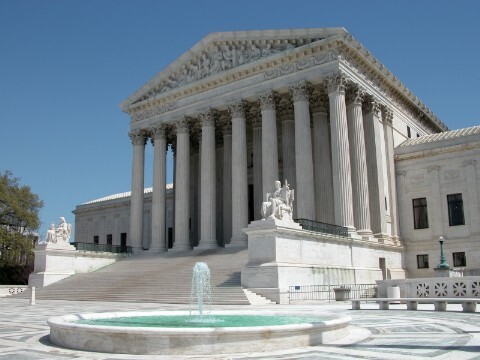 The Supreme Court this week ruled that a group of American lawyers lack standing to challenge the 2008 law that expanded the U.S. government’s authority to engage in electronic surveillance of overseas aliens suspected of terrorism. To hear the reaction of the ACLU and other civil liberties groups to the decision in Clapper v. Amesty International, one would think that the Supreme Court is abandoning the rule of law and abdicating its responsibility to oversee the activities of the Executive Branch. Nonsense. The Court simply denied a right to sue by individuals who concede that they have no evidence that they have been subjected to surveillance. The decision is consistent with a long line of cases that have insisted on evidence of injury before a suit can go forward, particularly when the suit implicates national security concerns. At issue are the 2008 amendments to the Foreign Sovereign Immunities Act (FISA). The amendments permit the federal government to engage in overseas surveillance of suspected terrorists under limited circumstances. But such surveillance is permitted under the FISA Amendments (FAA) only after the government has sought and obtained the consent of the FISA Court, a special court established to address national security issues. Amanda McKinzie, a 2012 Judge K.K. Legett Fellow at the Washington Legal Foundation and a student at Texas Tech School of Law. From the day Congress amended the Foreign Intelligence Surveillance Act of 1978 (FISA) to allow the communications of non-United States persons to be intercepted upon approval by the United States Foreign Intelligence Surveillance Court (FISC), parties have challenged the legislation’s constitutionality. 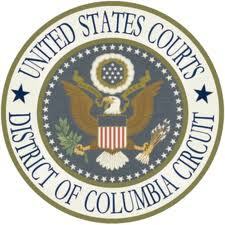 Once such case, Clapper v. Amnesty International USA, recently reached the U.S. Supreme Court. The Court granted the federal government’s petition for certiorari on Monday, May 21, and will decide during the October 2012 term whether those challenging the law have Article III standing to sue. Where else but in America would your involvement in numerous terrorist plots earn you both a spot on an international “most wanted” list and the pro bono assistance of legal activists in federal court? Such is the situation involving Anwar al-Awlaki, a militant Islamist cleric based in Yemen. Al-Awlaki and his “al Qaeda in the Arabian Peninsula” group have been tied to the massacre at Fort Hood, the attempted Christmas Day airplane bombing over Detroit, and last month’s plot to blow up Chicago-bound cargo planes.